"Volupte was launched in 1992. This is pure parfum. 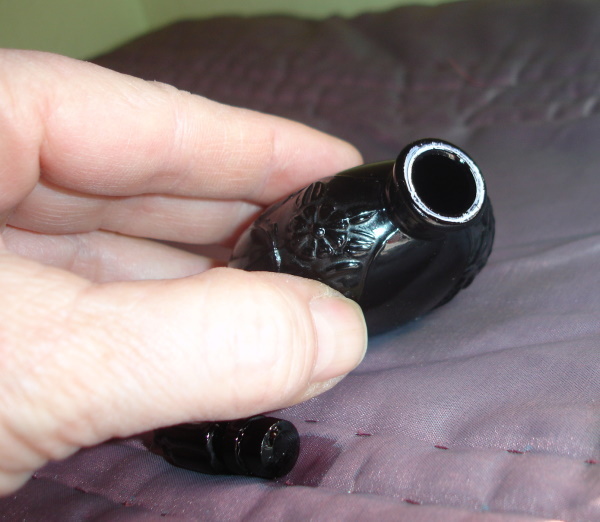 Size is 1/8 oz." 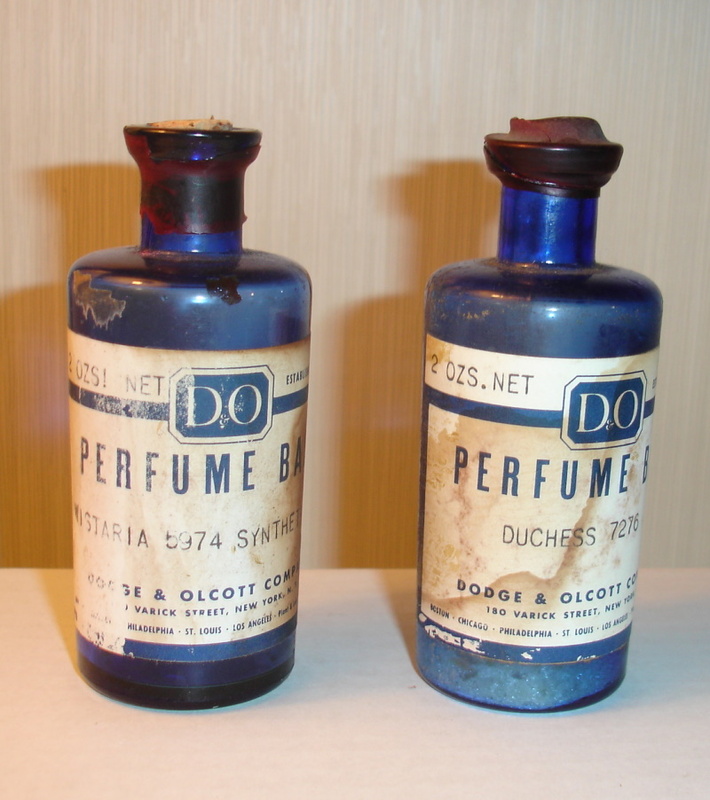 "These are all from the early 1900s and there were contents in all of these bottles when I purchased them. They all were good, and their scent remains in the bottles. I have also included the original corks. One fell into the bottle so I have replaced it. The other bottle has crystal residue that I did not clean out. These are about 4"" tall and look great displayed together. I have included a photo to show you how I received them still wrapped in their onionskin paper and wax seals." 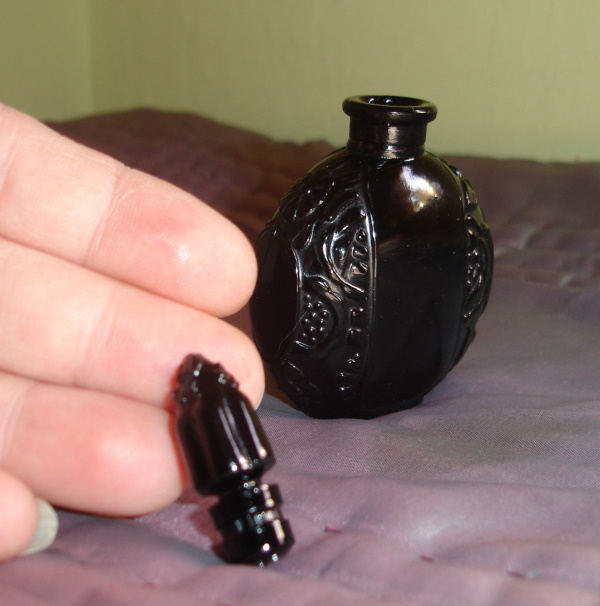 "The box is worn and a little torn, plastic cap for bottle is cracked and chipped and the spray mechanism has been removed from the bottle. Box is just fabulous. Use a cork to refill bottle or just display." 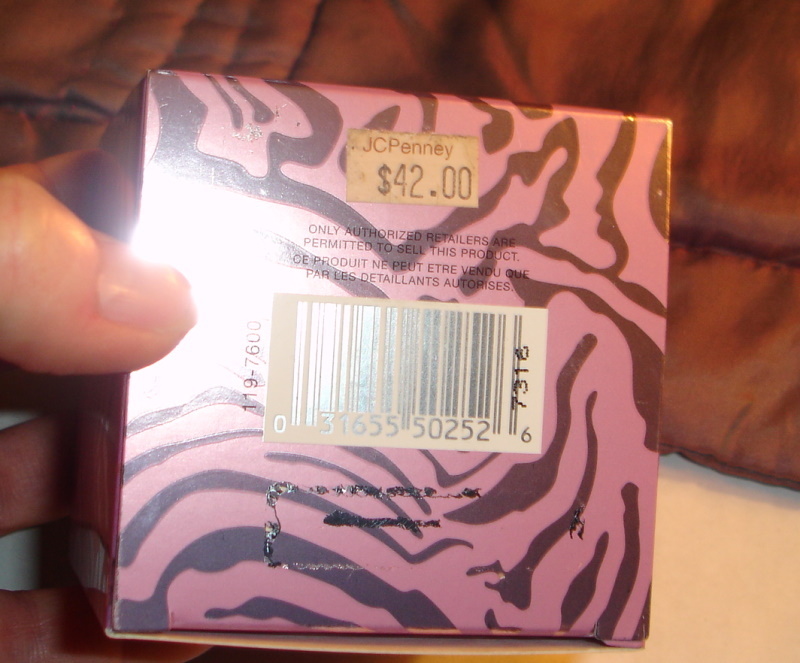 This is a beautiful perfume and has been sprayed a couple of times. 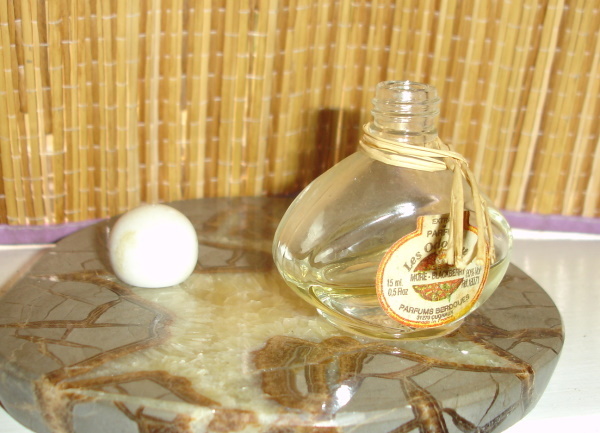 The lotion has also been used a couple of times. 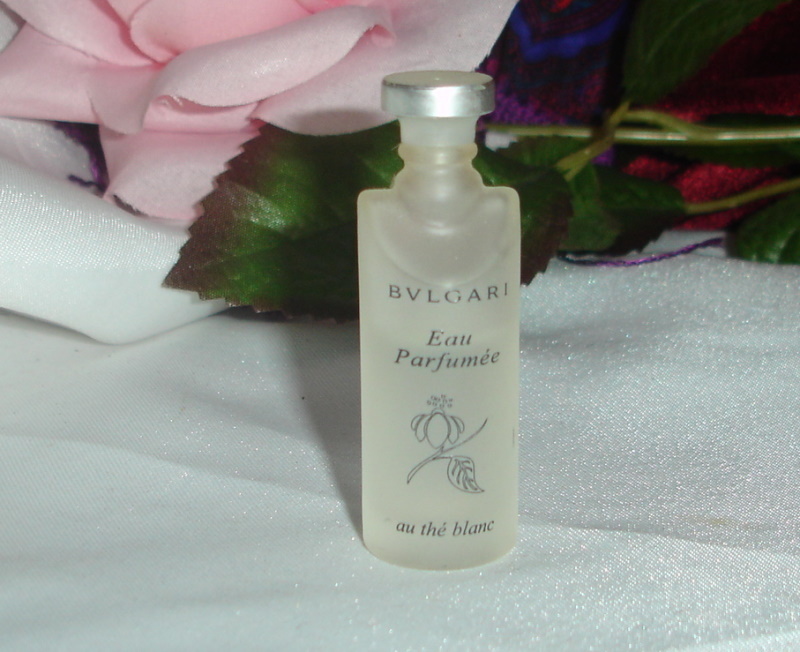 Great items in great condition. .
"Au the Blanc was created in 2003 and is a floral woody musk fragrance for women and men. 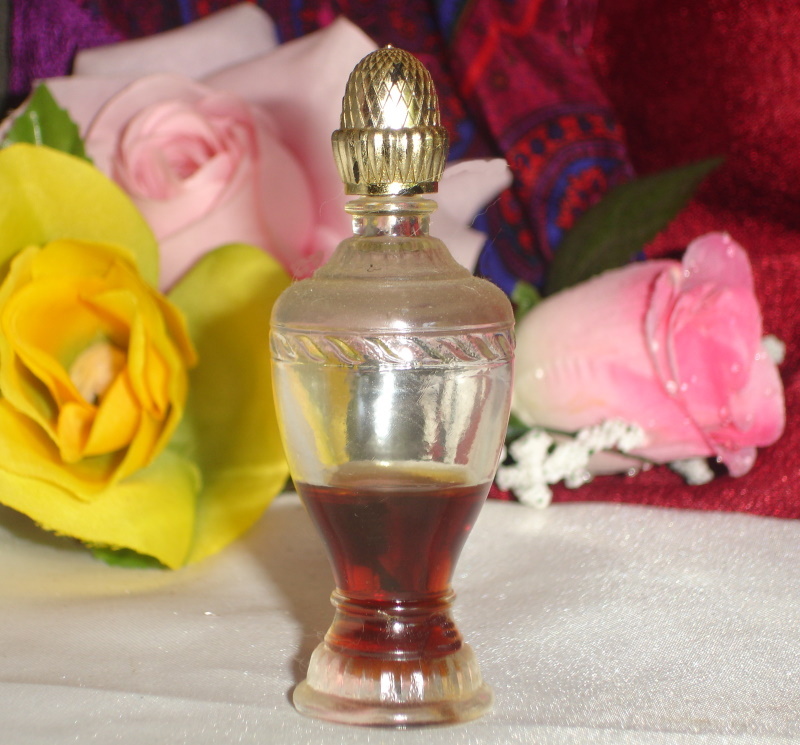 Top notes are tea, artemisia, bergamot, bitter orange and orange blossom; middle notes are pepper, cardamom and coriander; base notes are amber, musk, rose, jasmine and woody notes." 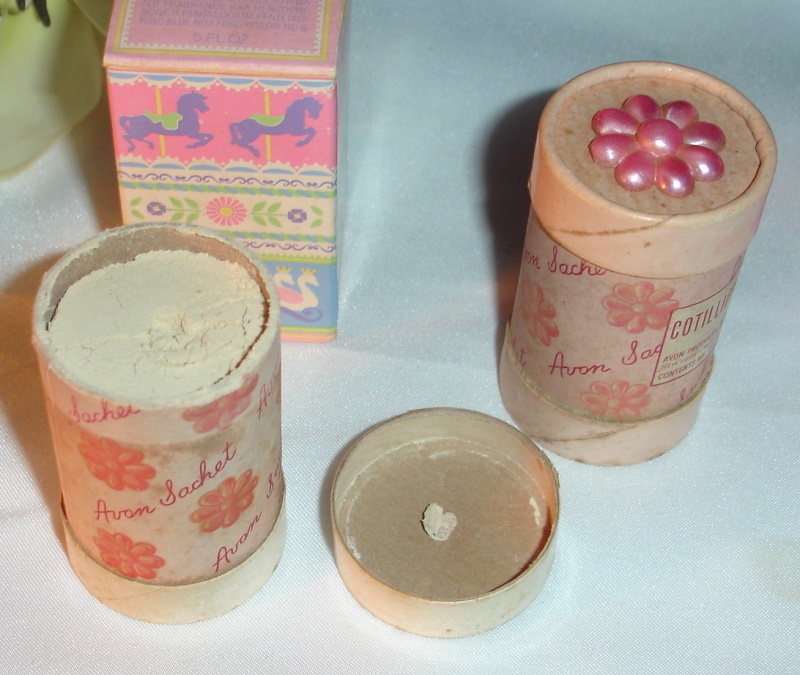 Powder is still sealed and the powder puff is pristine. 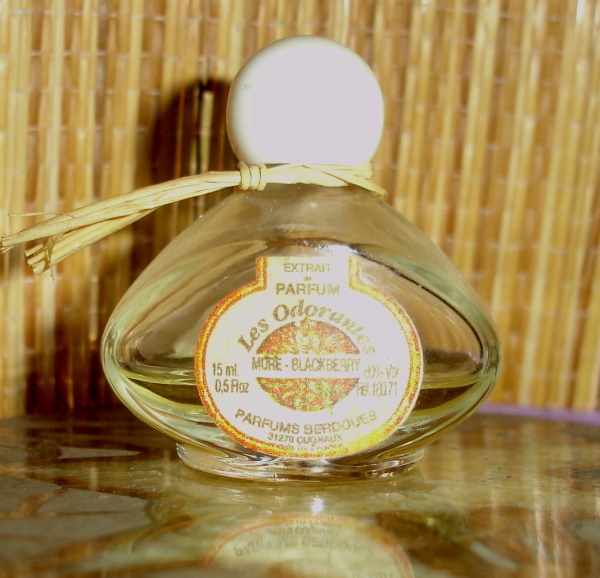 "This is a reproduction of the Molinard Iles D'Or perfume from 1929. 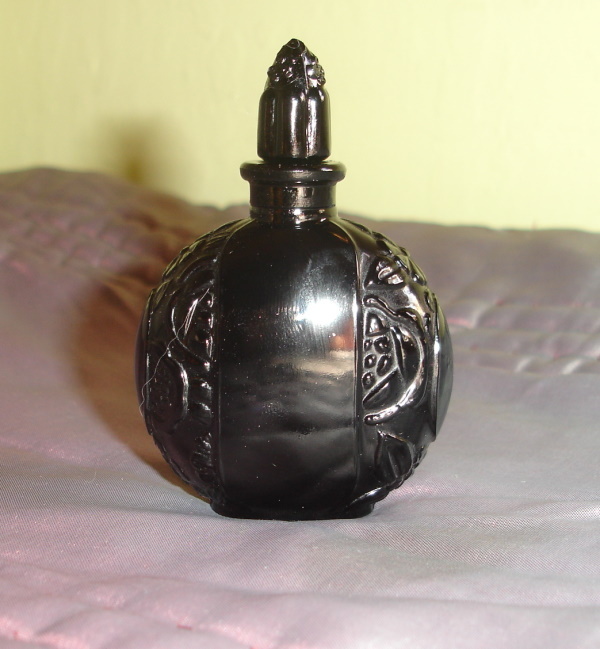 The French company, Chas A. Stevens, made this bottle in black, malachite, amethyst and clear, and maybe other colors, I haven't seen. 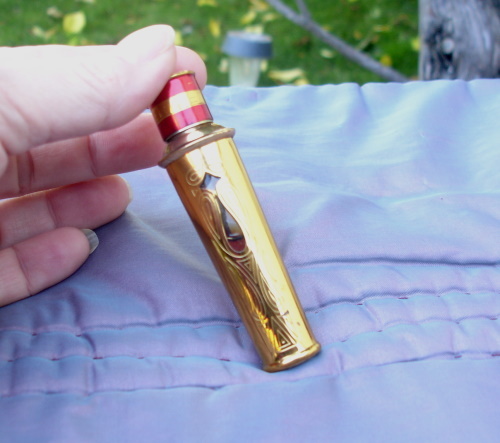 It measures 3 1/2"" tall and approximately and still has some perfume in it. It is in excellent condition with no chips, cracks or repairs. Made France is molded on the bottom." "This bottle is empty. It was so good I used the contents in making my own perfumes. The bottle is cool, as you can see on the box it was advertised on the TV show, ""The Price is Right""." "1/3 full. 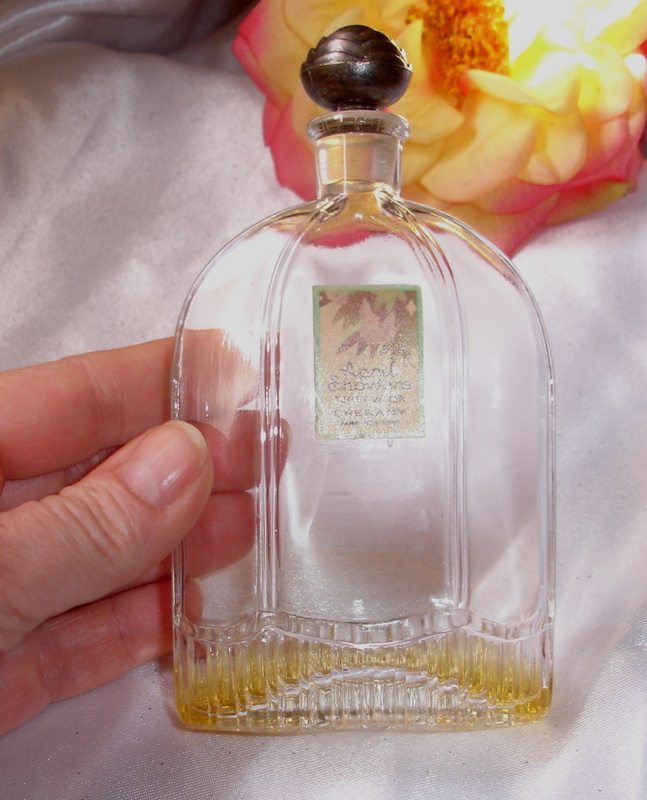 Bottle is a little more than 3"" tall of original perfume." 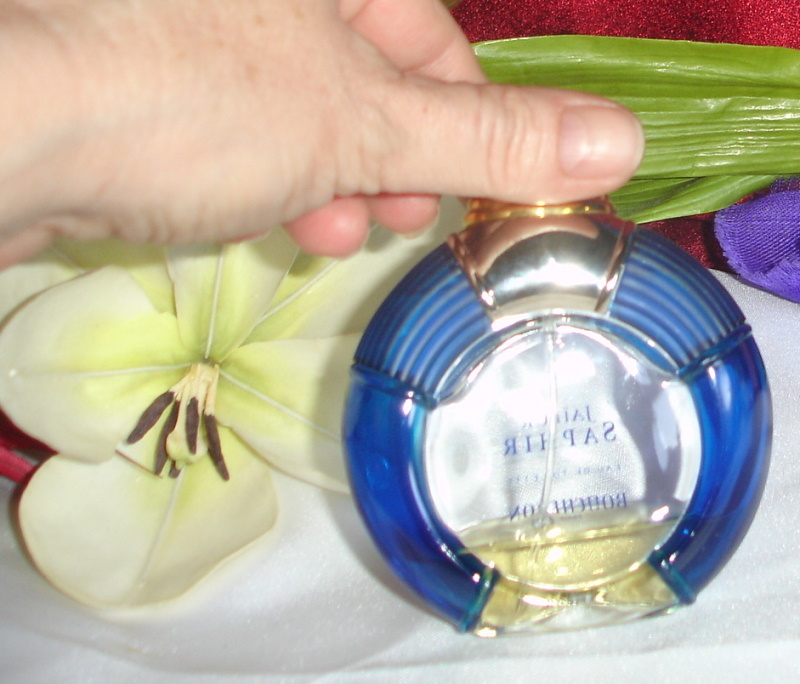 "This is an exotic perfume that is in a gorgeous bottle. 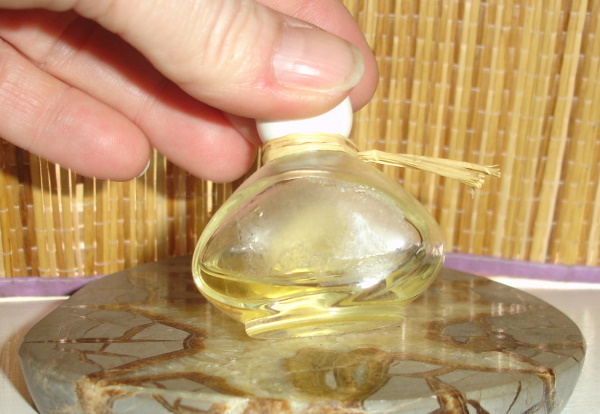 EAU DE PARFUM SPRAY. Notes are mace, vanilla, sandalwood, exotic plum, jasmine, rose de damas, tuberose, orange flower, burnt amber, and cashmere woods. The initial notes were very distinctive and spicy. Middle notes seemed to wear same notes as Burberry Weekender. I love the base notes, not overpowering and seems so fresh even after a couple of hours. Has been spayed a few times." "Here are two blue bottles for your collection. 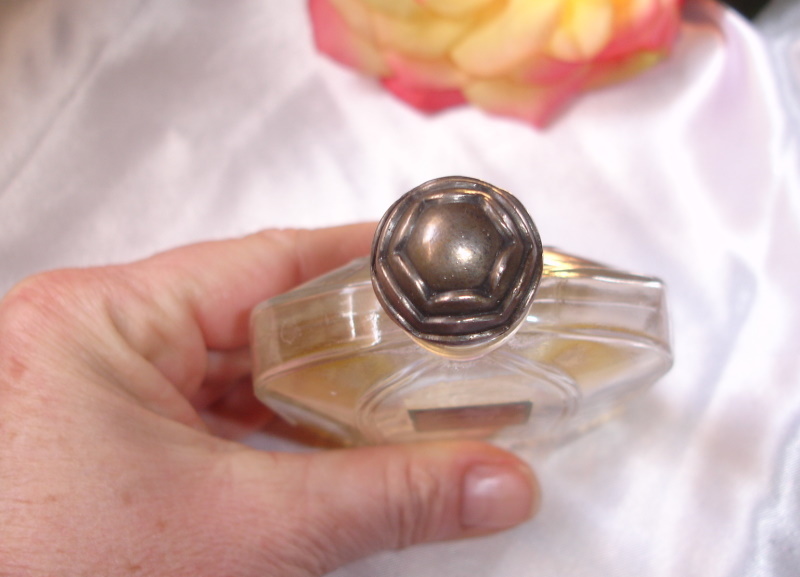 The purser item has perfume in it but it has separated. The tall, upright bottle is empty. Labels are barely readable. But nice bottles for display." 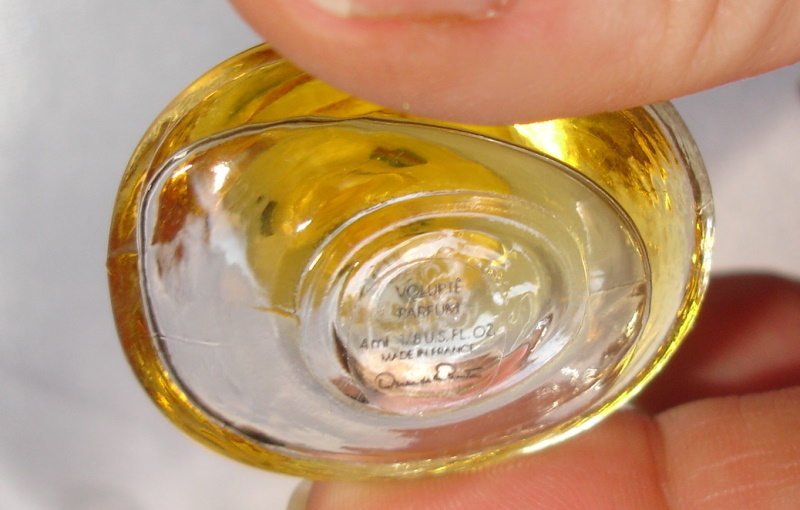 "This was a tester and it has no cap with the bottle. Bottle is alittle less than half full. This is Coty's version of Jovan Ginseng from the 1970s. 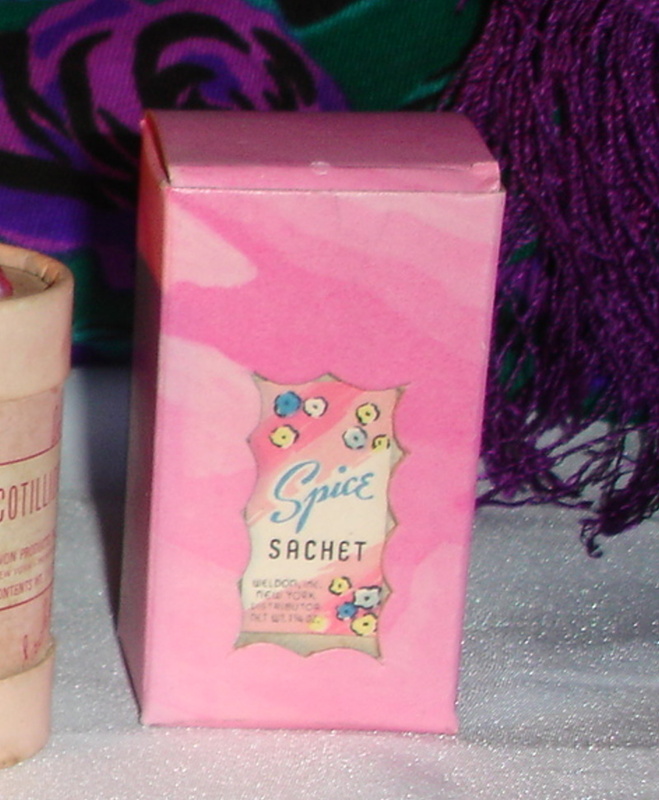 It is not exactly the same scent, but is very nice, and I would classify it as unisex." 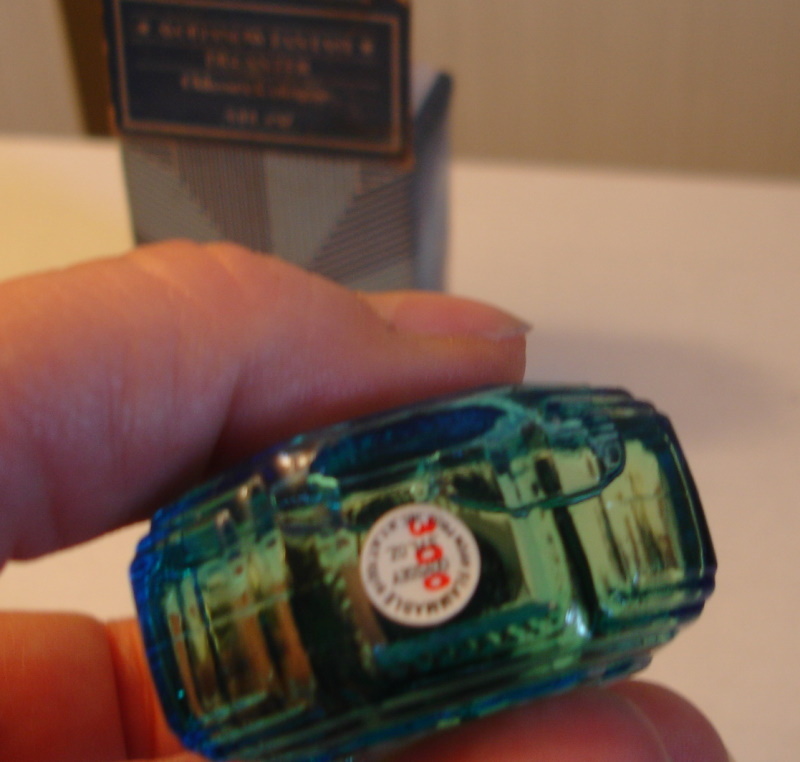 "Nice quality glass perfume with the original paper label still on the front. The label does show some wear as pictured but you can still make out the writing which reads ""Arlene Richards Hamden Conn."" As I stated before the glass is a nice quality and has a smooth feel to it. It is still sealed with a cord around the neck and was probably never opened. 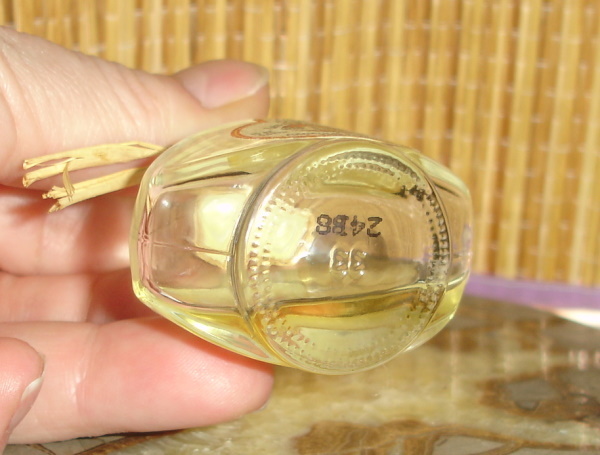 The perfume has darkened and evaporated with age but there is still 1/4 left in the bottle. 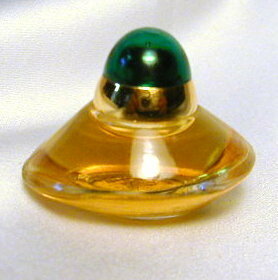 The stopper is domed or mushroom shaped and is glass not plastic. 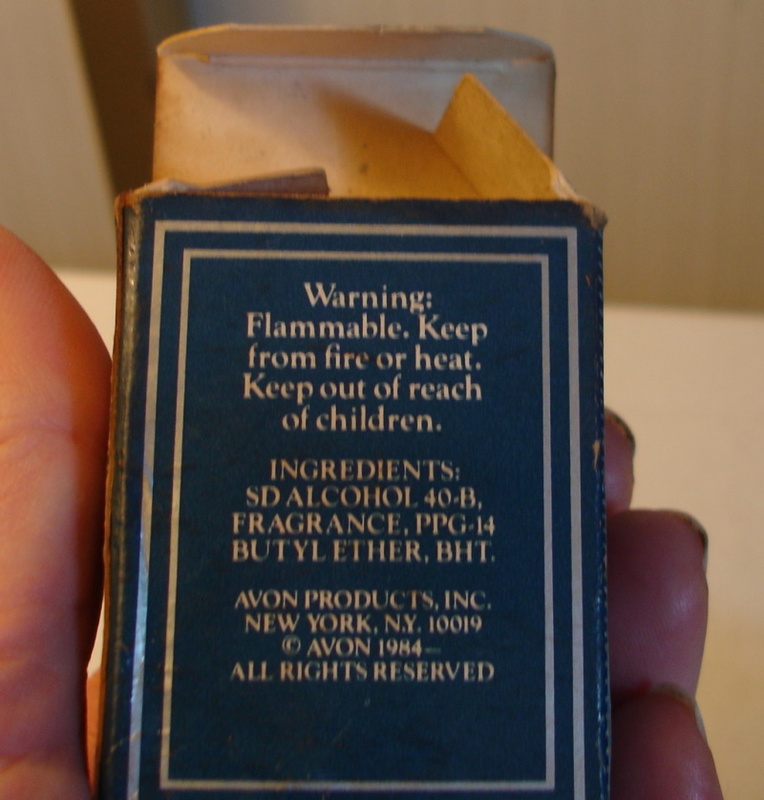 There is a small silver label on the back but lettering has faded. Overall condition is good. No chips or cracks." 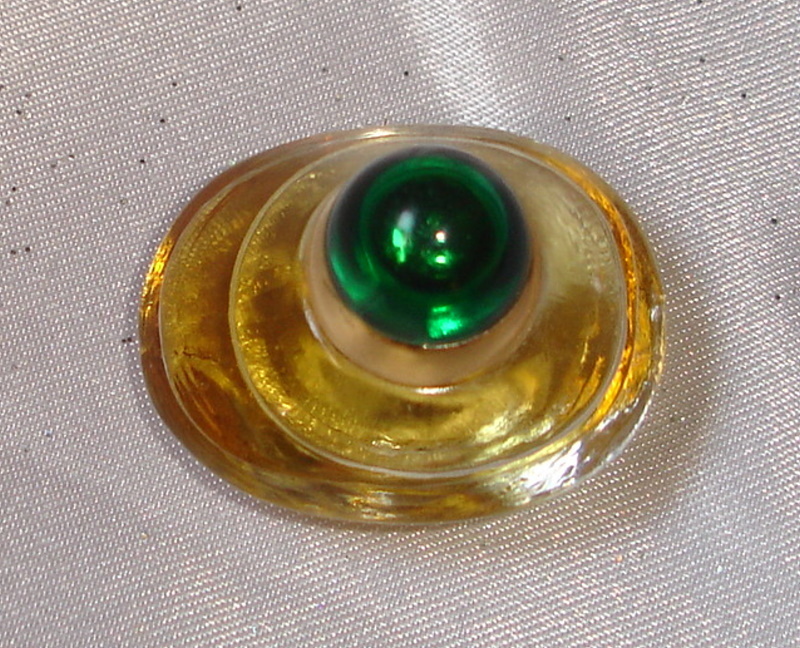 "This is a very old bottle of 3 Coins in a Fountain Perfume by Codell of Paris and New York. 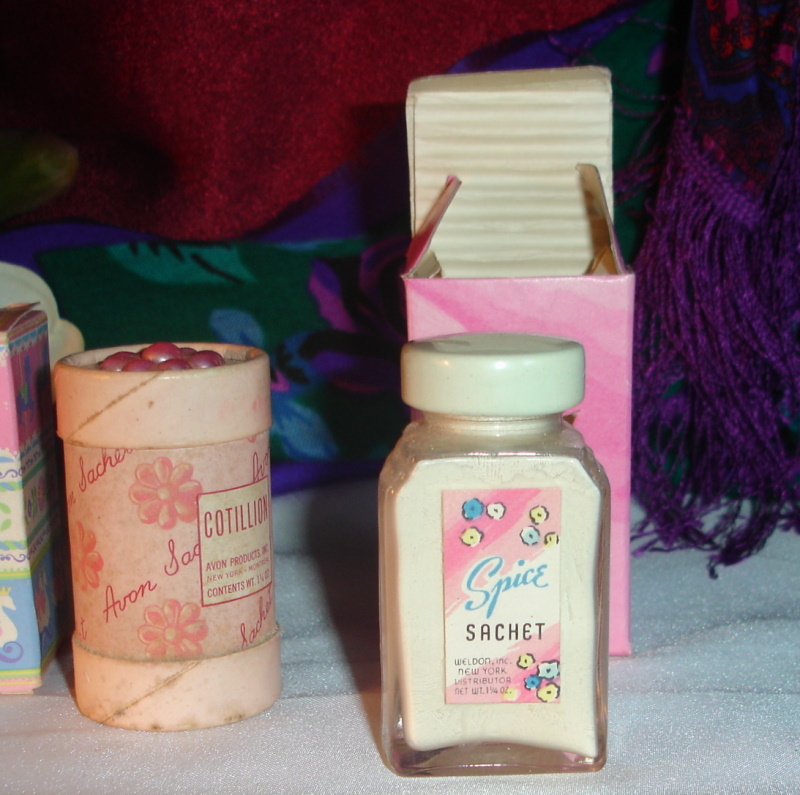 The top of the box has the seal from France - is says ""Concentre' Fabrique Avec Essences de France. 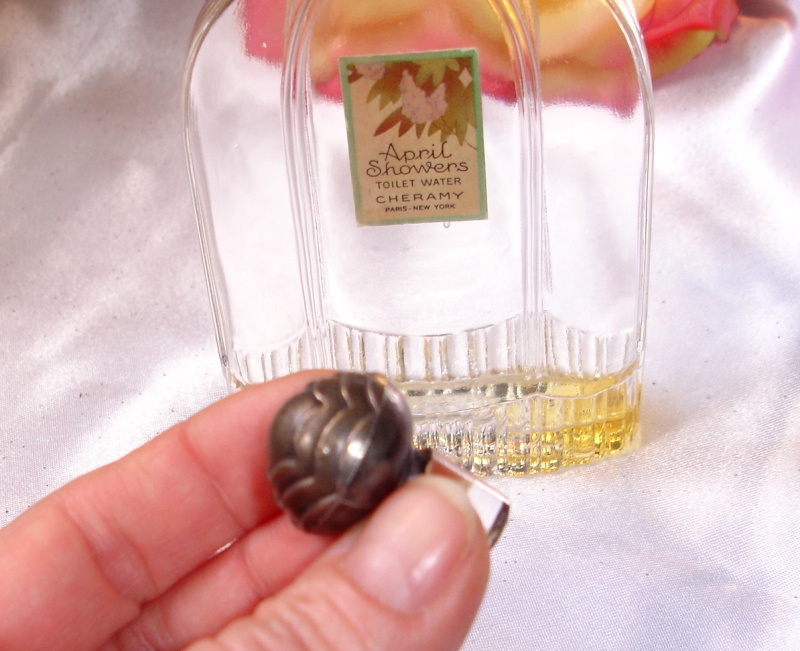 The bottle is 3 1/4"" tall and holds 1 fl oz. The box is a black & white houndstooth. There is a price tag on the bottom of $18.50. 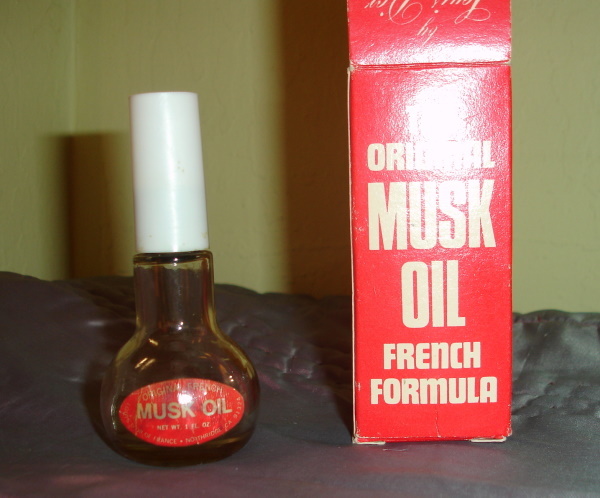 This was purchased overseas over 25 years ago"
Unused and smells great. I would date this to the 1960-70s era. I don't know anything about the manufacturer. This was a bottle of Mitsouko that broke. The neck snapped off cleanly and I was able to superglue it back on. I then painted it gold. It will hold liquid, but I just used it for display. It looks fabulous in a collection of bottles. 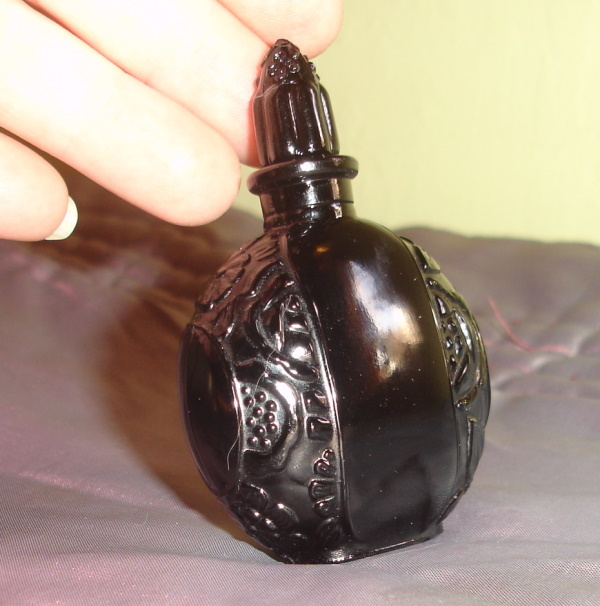 It is acid etched on the bottom and I would date the bottle to the 1950s. 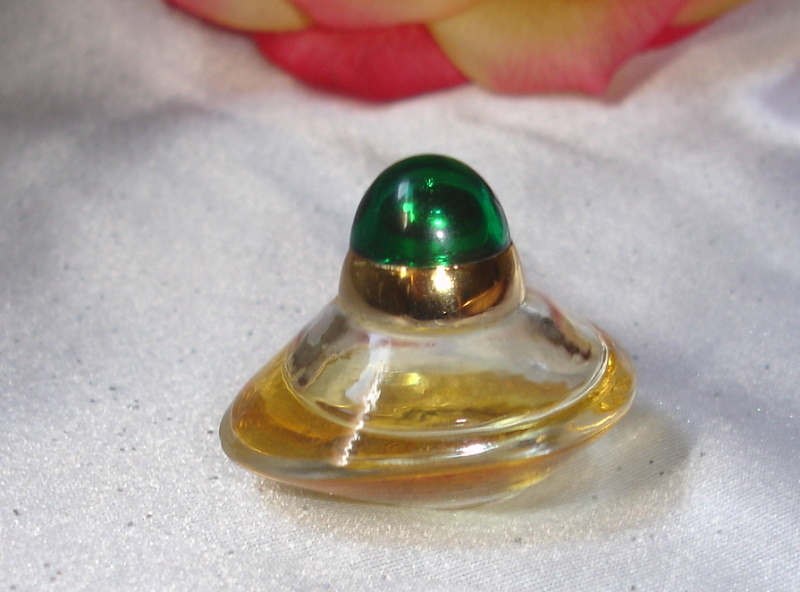 It is crystal and the stopper is in perfect condition." I date this to late 1940s. 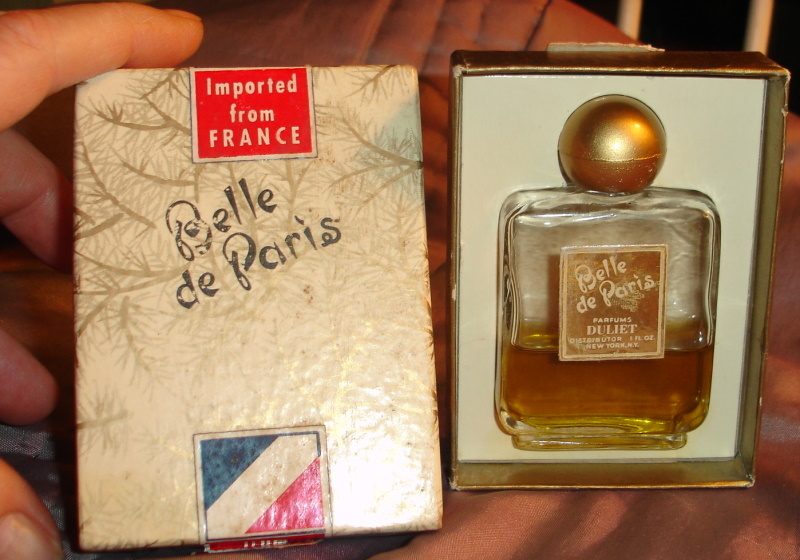 Great perfume with a little less than half full of the original perfume inside. 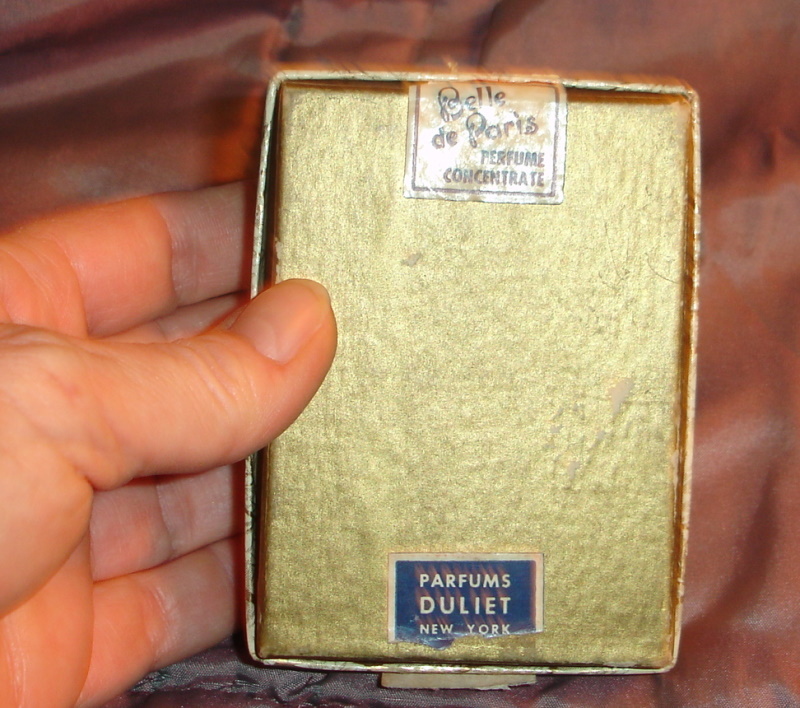 Very nice vintage perfume with a nice gold label and colorful vintage box. Beautiful stopper on this 1922 bottle. Cheramy was connected to Houbigant, because Beiname was behind both companies. 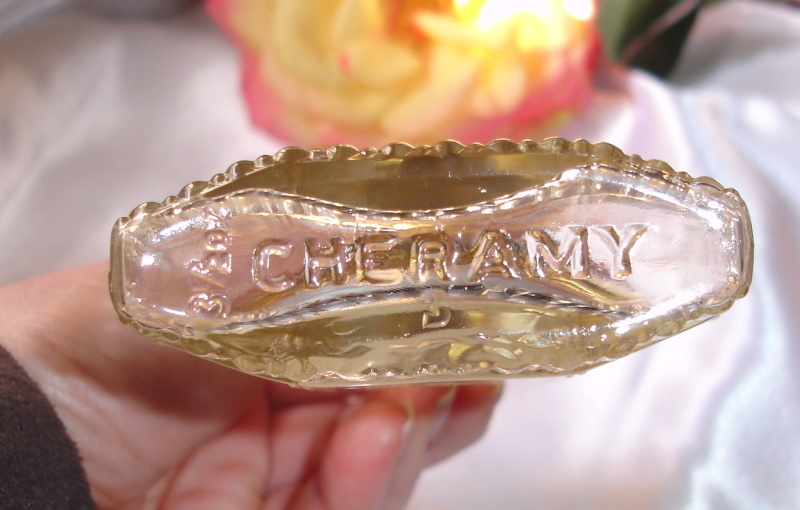 Cheramy was created in 1921 to counter the American Perfumers who were blocking sales of French perfumes in America. So they set up shop in America, and named the company Cheramy. 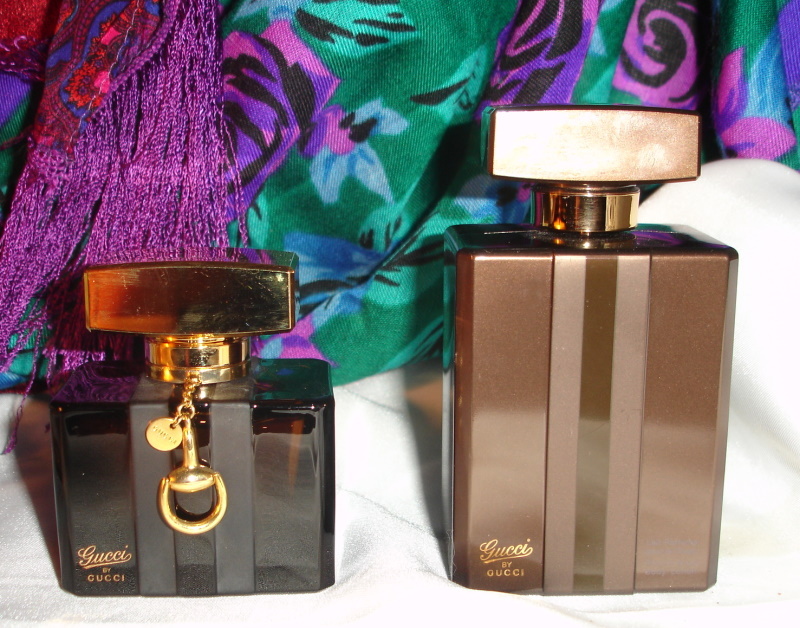 Their first perfume in 1921 was Cappi. In 1922 they released April Showers. Biarritz was released in 1927. 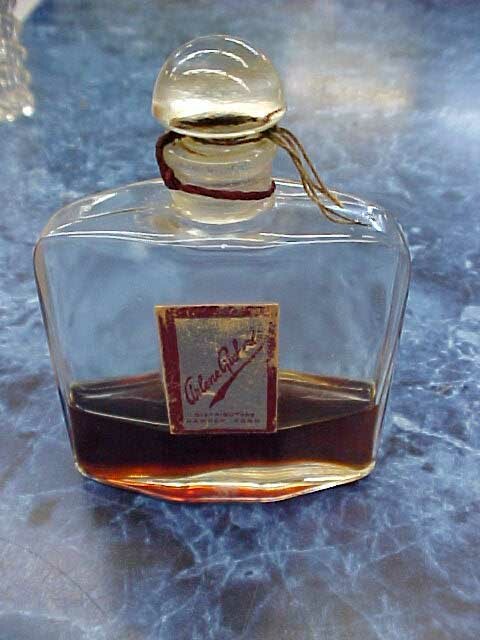 This is a very rare bottle. 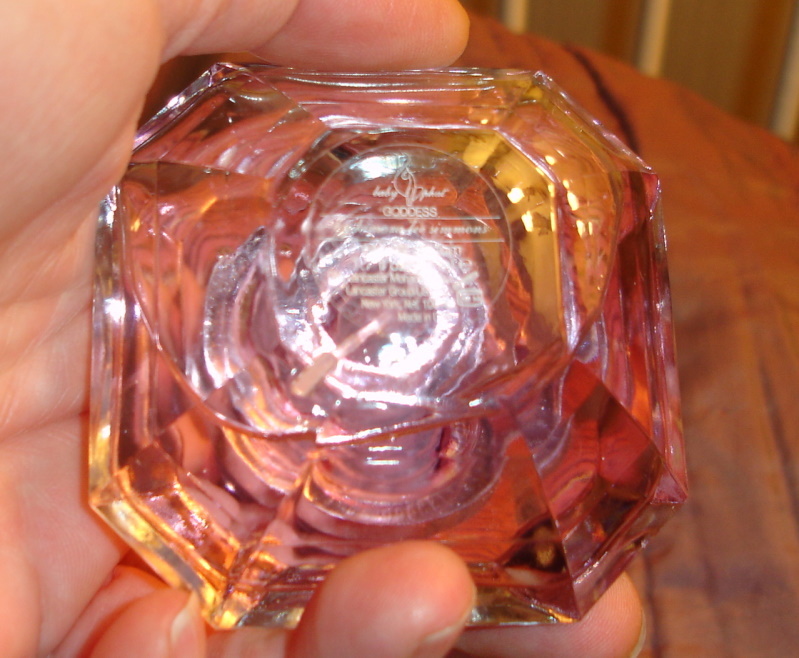 I saw a 1927 ad for their three perfumes showing the Biarritz bottle in this bottle design. These adorable bottles are from different time periods. 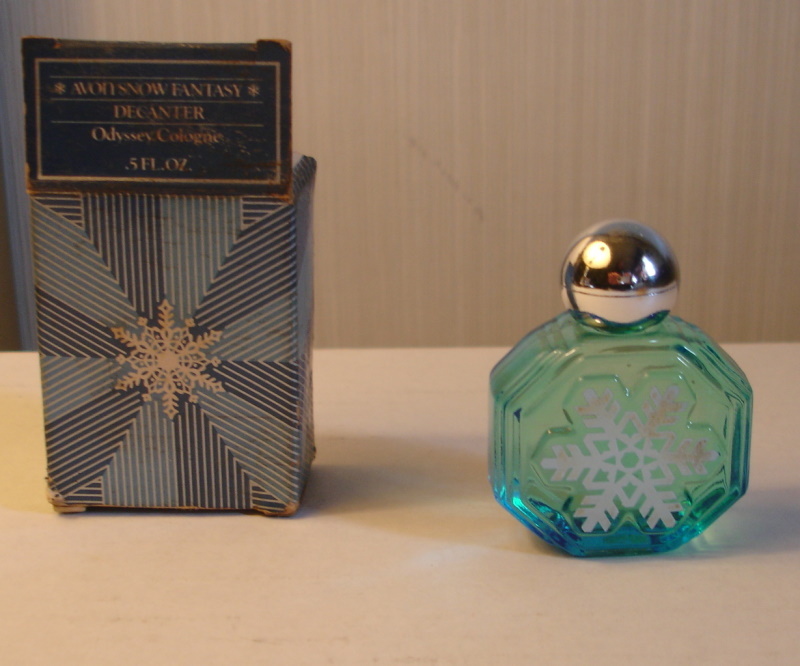 The Avon bottles are probably from the 1940s and the Weldon is probably from the 1950s. 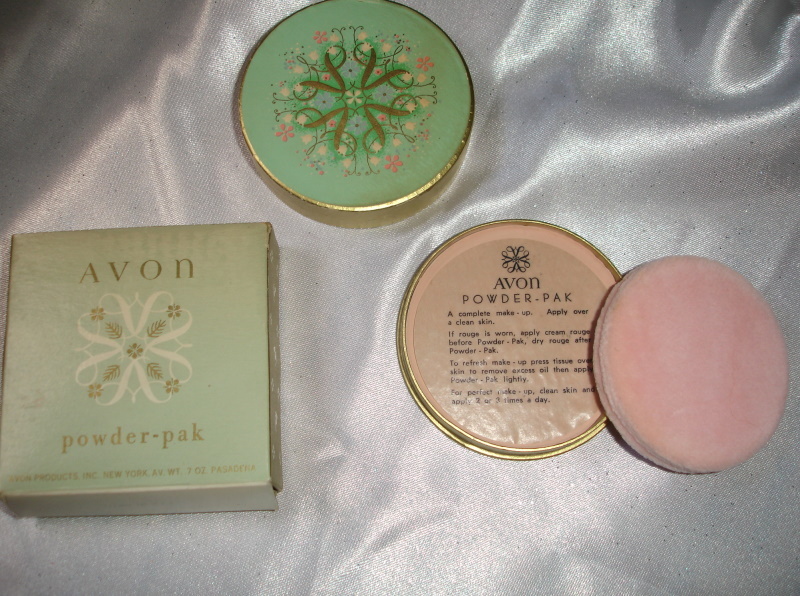 One of the Avon Sachets is empty and the other is full. The Weldon Spice Sachet is full and in the box. Lovely perfume from the house of Boucheron. I named one of my Ragdoll cats Princess Japur Saphir back in 2002, so I already had this bottle back then. 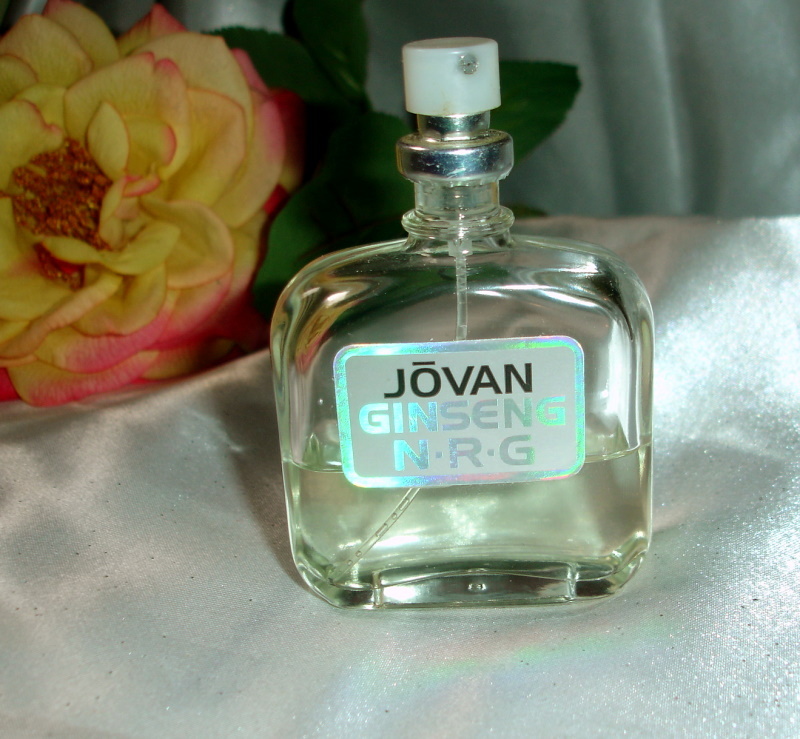 I have enjoyed this perfume and I am sure you will too. The unique name is derived from the celestial blue Kashmir 'sapphires' - a name that means most beautiful thing. 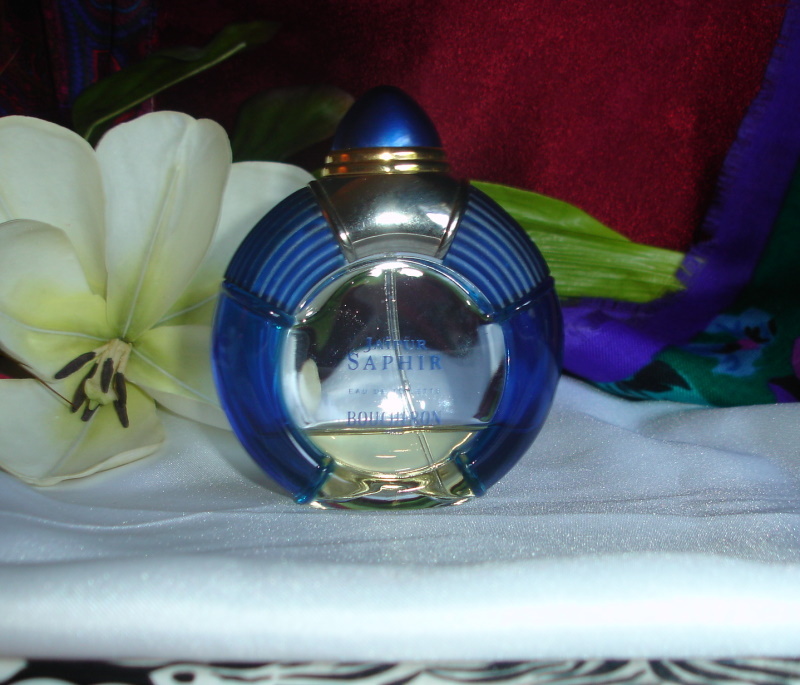 Japur Saphir in French means most beautiful. 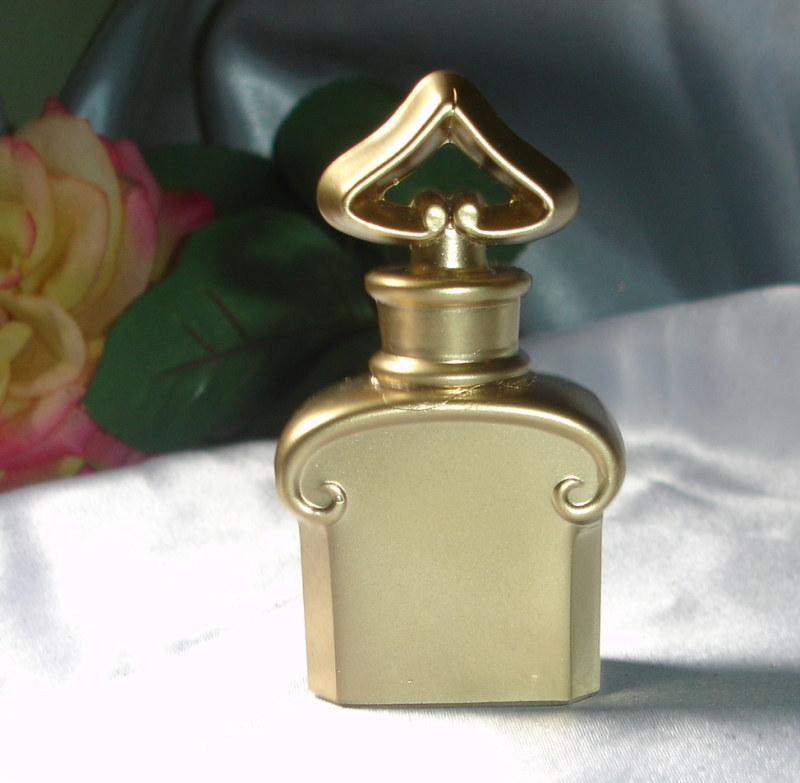 It is a sensual and contemporary woody floral scent that is very feminine. 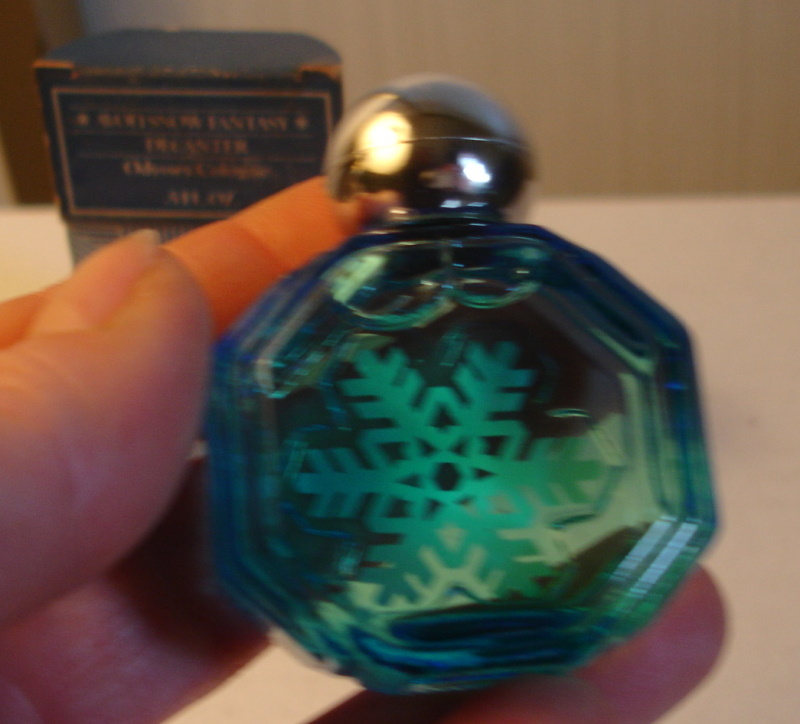 Still has enough perfume to enjoy for awhile, probably around 1/2 oz. "Yes, this is blackberry in full glory! 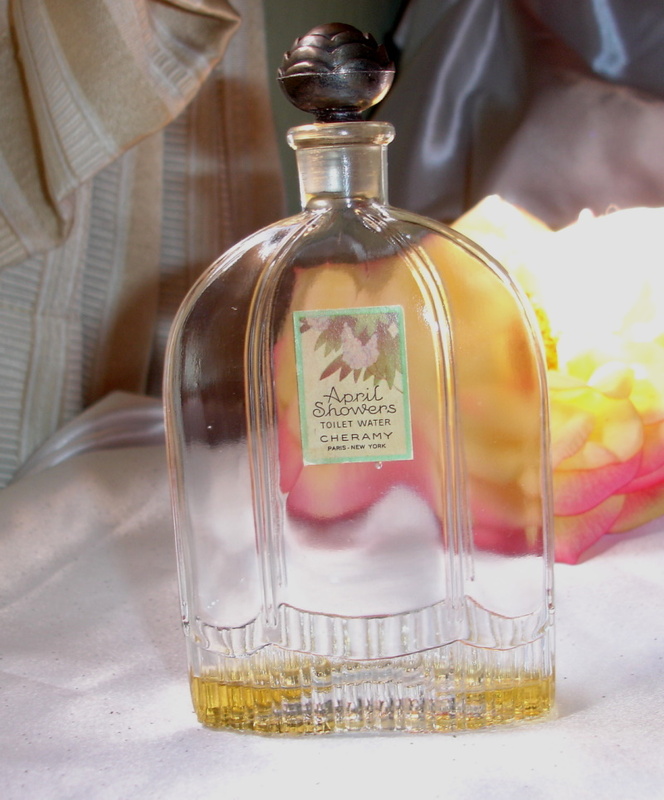 Bottle is about 1/3 full of extrait parfum, highest concentration this side of an absolute or essential oil. 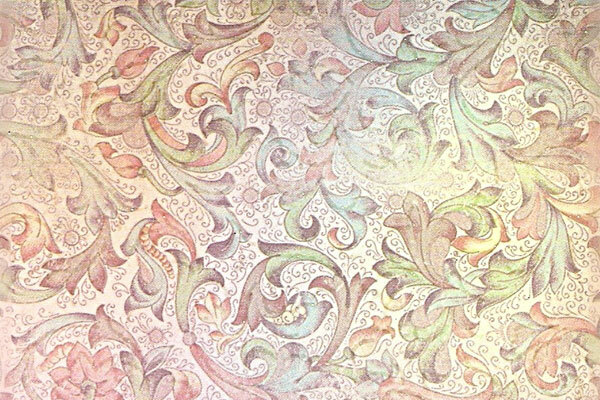 Can use in making perfume, candles, soaps, etc, or to wear. Yummy! Not an extrait you will find easily. Great item. 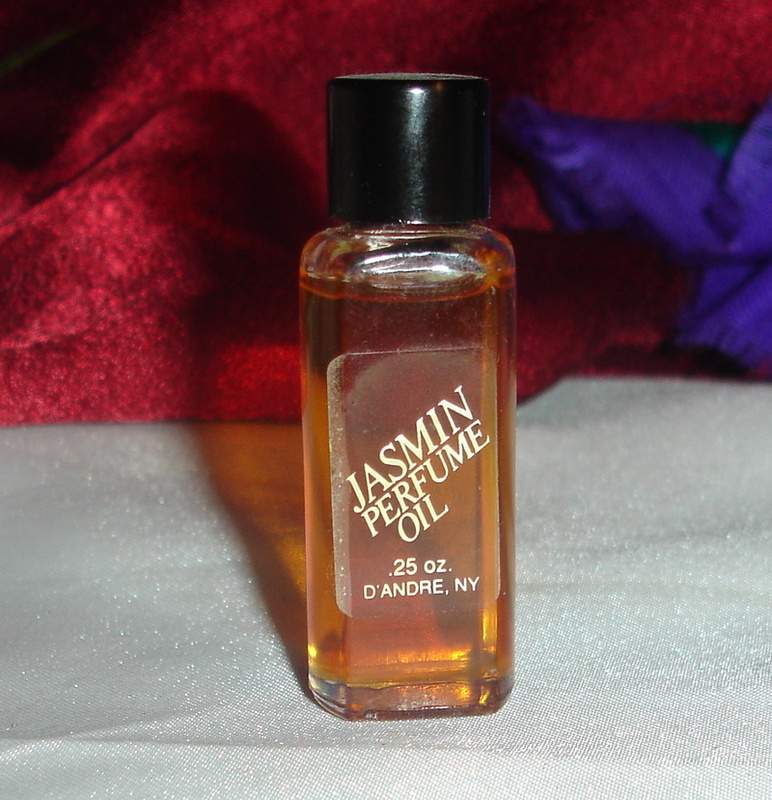 I used a lot of it, and can testify, it is very nice." "Created by Kimora Lee Simmons, former fashion model and spouse of hip hop mogul Russell Simmons. 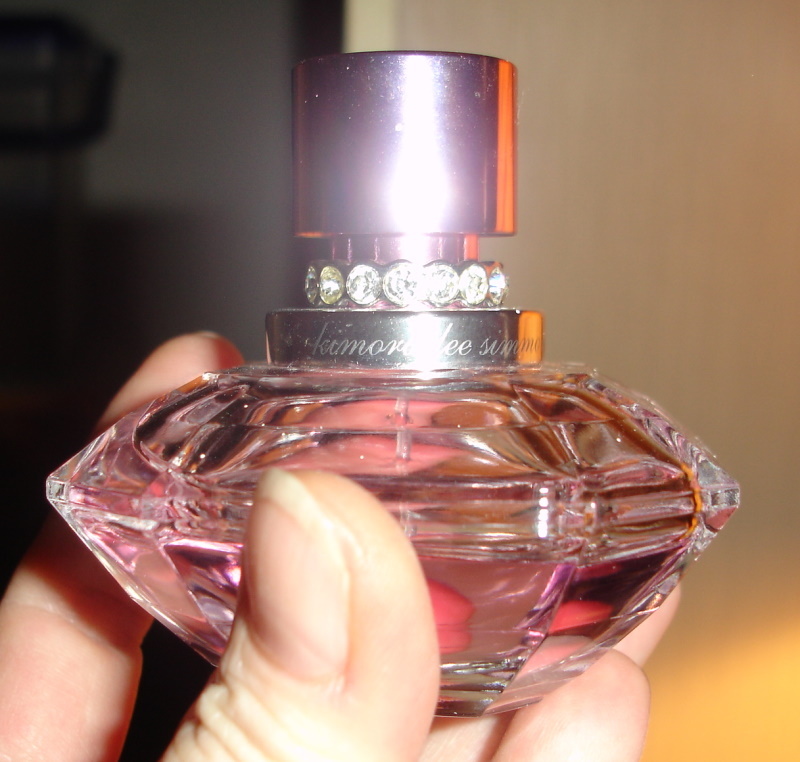 The fragrance is created under licensing arrangements with Coty. Slightly used, almost full. This is so fresh smelling, it smells like a nice spring day with beautiful sweet flowers in the air. Wearing it, you will feel like you've just stepped out of a sweet encrusted flowered shower. I bought this after sampling in the store. I enjoyed it very much. And the bottle is just beautiful. 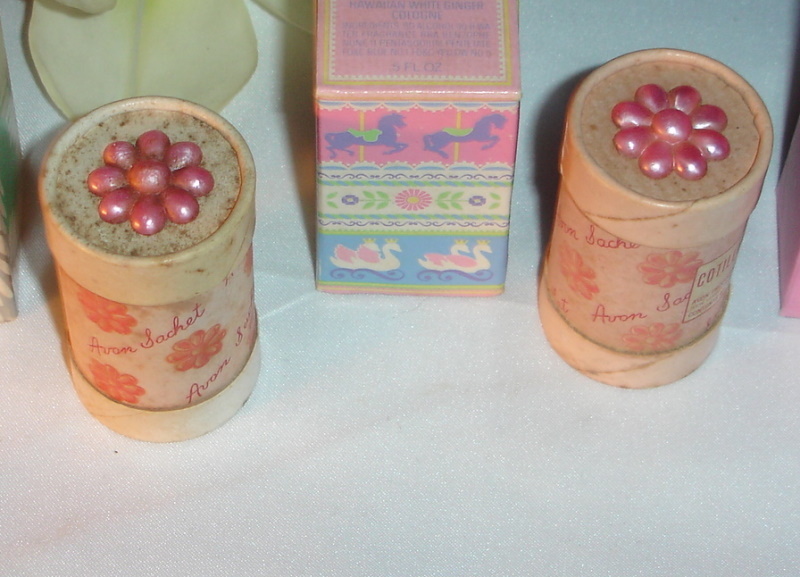 Unused with original perfume. Very pretty blue bottle. There is a date on the box of 1984. 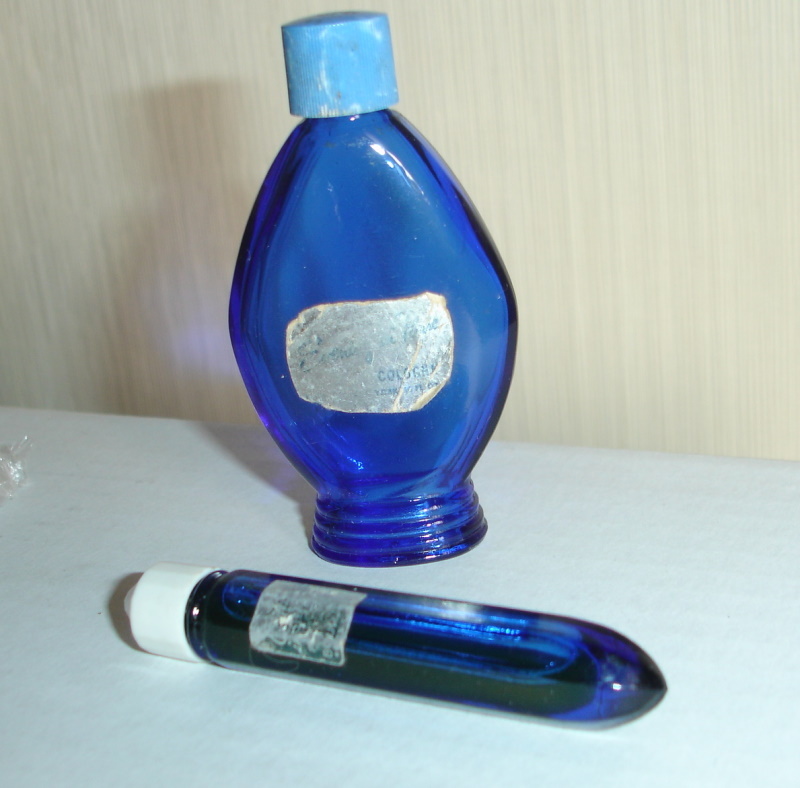 Don't know the name of the perfume nor what the volume is in the bottle. I love the stopper on this bottle, the cuts are crisp and it feels neet between the fingers. Perfume is ok.